Sound Transit's Tacoma Link light rail system. Photo: Sound Transit. American rolling stock manufacturer Brookville has signed a contract to supply five light rail vehicles (LRV) to Seattle transport agency Sound Transit, in Washington, United States. The deal is worth $26.5 million (∼€22.5 million) plus tax for vehicles from the manufacturer’s flagship Liberty platform. 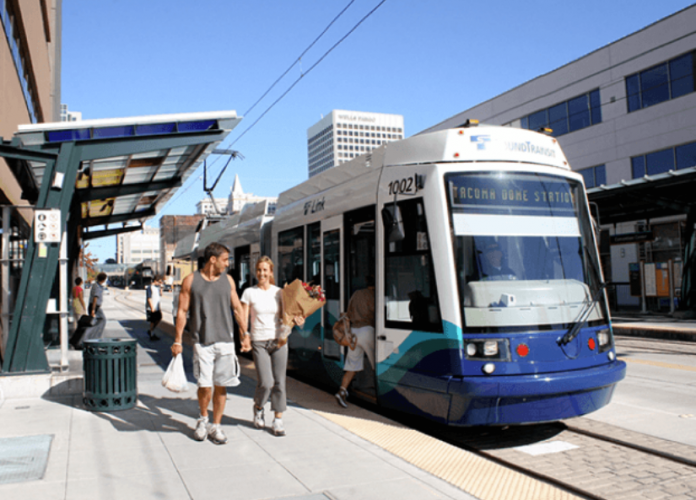 The vehicles will support the 2.4 mile, six-station extension of the agency’s Tacoma Link light rail line. The contract also includes the option for an additional five vehicles for Sound Transit and five for the City of Portland, Oregon. A preliminary rendering of the proposed Brookville Liberty LRV for Sound Transit Tacoma Link. Photo: Brookville. The new Tacoma Link LRVs will have an 8ft-wide carbody with seating for up to 34 passengers and the ability to comfortably transport more than 100 passengers. The new fleet will be Americans with Disabilities compliant with deployable bridge plates for easy boarding and more than 70 percent low-floor available standing area. Brookviile vice president of business development Joel McNeil said: “We are eager to support Sound Transit with an all-new Liberty LRV fleet for its expanding Tacoma Link system. 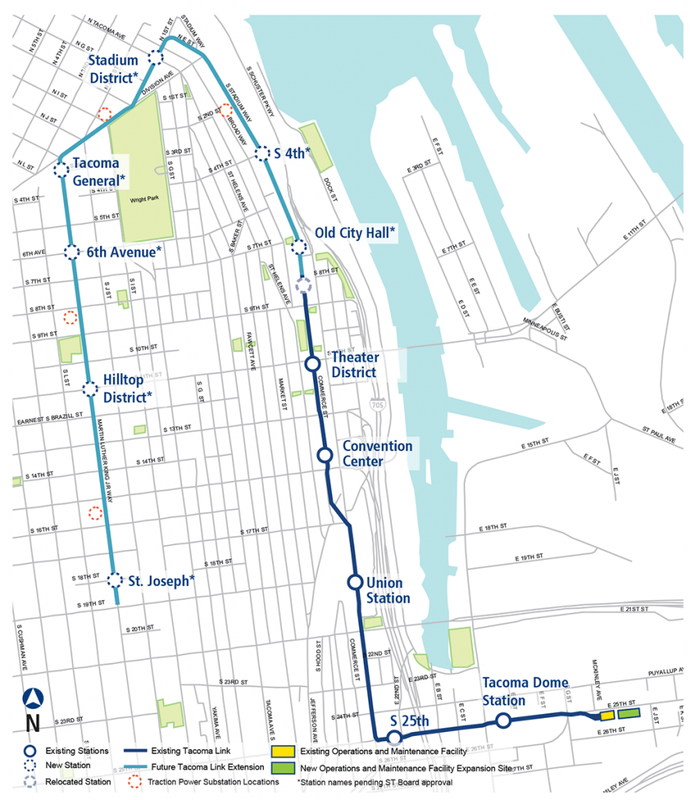 A map of the Tacoma Link extension. Photo: Sound Transit.